But there is actually a bit more to it than that. 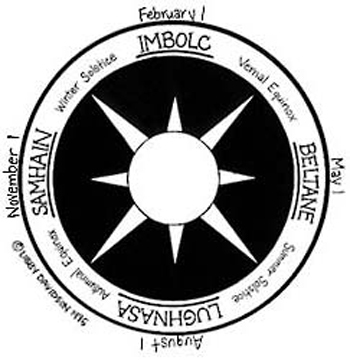 Celebrated on February 1 or 2nd (August in the Southern Hemisphere) is the celebration of Imbolc, one of the half-way celebrations. 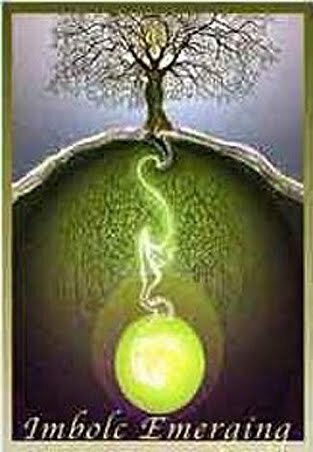 This one takes place half-way between Yule and Ostara (the Winter Solstice and the Spring Equinox). Legend has it that the Cailleach, in Gaelic tradition, gathers her firewood for the rest of the winter on this day. She wants a clear day so that she can gather as much as possible, thus a clear day means a longer winter, a snowy day means a shorter one. Hmmm...sounds rather like that poor groundhog again, doesn't it? 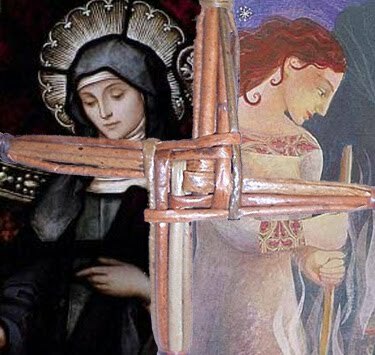 It is also the Feast of St Brigid, considered the first day of Spring in the modern Irish calendar, and is also known as Candlemas, the feast of the Purification of the Virgin in the old Christian calendars. Brigid would walk the earth that night, blessing small scraps of cloth left outside of the doors for her attention. The hedgehog, another hibernating rodent, was considered sacred to Brigid. This is another "whistling" rodent, so when the Gaelic peoples came to the New World, they searched for another whistling rodent for St Brigid's day, and found....wait for it...the groundhog! Groundhogs have very sharp teeth, as was pointed out to me by a few of my readers yesterday. Several of my references recommend that we celebrate that fact. The groundhog chews through roots and branches above and below ground. That reminds us to clear away any destructive patterns and habits - Spring Cleaning in essence. As we clear these away, we awaken new realms of possibility. Burrow into the mysteries of Spirit and our own connection with the earth upon which we walk, and walk gently today. Yes indeed, another one adopted from the Pagan into the mainstream religion. Pagans never die, they just go underground. What beautiful pieces of art you have chosen to share. I can never quite equate Brid with a nun - but I do like the picture. will we get to see your sketch when it's done? Absolutely. It's made for Chaotic Binky's OEAM Big Bang story, so it will be under wraps until then, but I'll post it and probably open my own Deviant Art page at that time with that and several of my other Tolkien-based works. Today's (Saturday's) sketching session went very well, I am feeling optimistic (which of course means that disaster is only around the corner - LOL).